Steve Buscemi — Vampire Weekend’s spirit guide of late — said of the band’s new album: “I’m listening to the lyrics and then you go ‘Peter Gabriel, too’ or, uh, ‘Louis Vuitton’ out of nowhere, and I’m lost.” Vampire Weekend uses a lot of references! And sometimes they require a little Googling. So in order to aid your listening experience, Vulture now presents a glossary of the many references on Vampire Weekend’s Modern Vampires of the City. 18th Hole (“Diane Young”): The final hole on a golf-course. “19th Nervous Breakdown” (“Ya Hey”): A 1966 Rolling Stones single about a tragic heroine, who is rolling in the dough but is psychologically frail. Angkor Wat (“Step”): Located in Cambodia, the Angkor Wat is one of the largest religious monuments in South Asia. Anchorage (“Step”): A city in Alaska. Famous former residents include Sarah Palin (who was a sports reporter for KTUU-TV). Astor (“Step”): This part of the East Village is usually teeming with NYU’s liberal arts folk. Alameda (“Step”): Located on Alameda Island and Bay Farm Island, this city is the staid neighbor of Oakland. Boombox (“Step”): A clunky piece of sonic equipment which assumed the rawest definition of surround-sound back in the day. Let Long Island remind you of its power. Berkeley (“Step”): Another one of those liberal spaces in California, where the alt-indie-cult-fringy roam free. Communist Reader (“Step”): A propagandist manifesto that sought to spread the anti-capitalist plague in America, usually employing the tenets of Marxism. Croesus (“Step”): Back in the Iron Age, Croesus was the king of Lydia (a kingdom of western Asia Minor). After 560 to 547 B.C.E. he was defeated by the Persians. In Greek and Persian cultures his name is synonymous with wealth. Yes, he was related to Midas. Dar es Salaam (“Step”): Formerly the capital of Tanzania, now mostly known as one of the fastest growing cities in Africa. Dies Irae (“Everlasting Arms”): A medieval Latin hymn describing Judgment Day, used in some masses for the dead. Dome of the Rock (“Finger Back“): A Muslim shrine located on the Temple Mount in the Old City of Jerusalem. Falafel (“Finger Back”): A Middle Eastern sandwich — pita bread stuffed with veggie patties. Its importance and ubiquity is best defined by the title of a 2001 Australian film, He Died with a Falafel in His Hand. Hannah Hunt (“Hannah Hunt”): Sounds a lot like “Hannah Horvath,” Lena Dunham’s Girls character. Just saying! Hudson Bay (“Hudson”): A large body of saltwater in Canada, named after Henry Hudson, who explored the bay in 1610. Okay. “I am that I am” (“Ya Hey”): In the Hebrew Bible, “I am that I am” was God’s response to Moses when Moses asked for his name. Jerusalem (“Finger Back”): The capital of Israel, and the holy land of the Jews. Kennedy (“Diane Young”): A cursed American dynasty. LED (“Obvious Bicycle”): LED is the acronym for light-emitting diode, and it is not exclusive to TVs, also used in other, less exciting stuff like aviation lighting and digital microscopes. L.A. (“Finger Back”): A city in California where the film folk like to live and procreate. Lincoln (“Hannah Hunt”): A town in Madison County, New York. Mechanicsburg (“Step”) – A city in Pennsylvania responsible for inspiring pathos in singer-songwriter Warren Zevon (“The Factory” and “Stop Rainin Lord”). Modest Mouse (“Step”): A band. Something like the older, broodier cousin of Vampire Weekend. New York Times (“Hannah Hunt”): A newspaper that still exists. Oakland (“Step”): A city in Northern California. It’s right by Alameda. Providence (“Hannah Hunt”): It’s the capital of Rhode Island and home to Brown University. Phoenix (“Hannah Hunt”): Alice Cooper is one of the best things to have come out of this city in Arizona. Pre-war (“Hudson”): Anything that predates the Second World War. The term is commonly used to define buildings built after 1900 and before 194;, they were characteristic of sturdiness. Saab (“Diane Young”): A Swedish car, usually hatchback that was popular in the eighties. 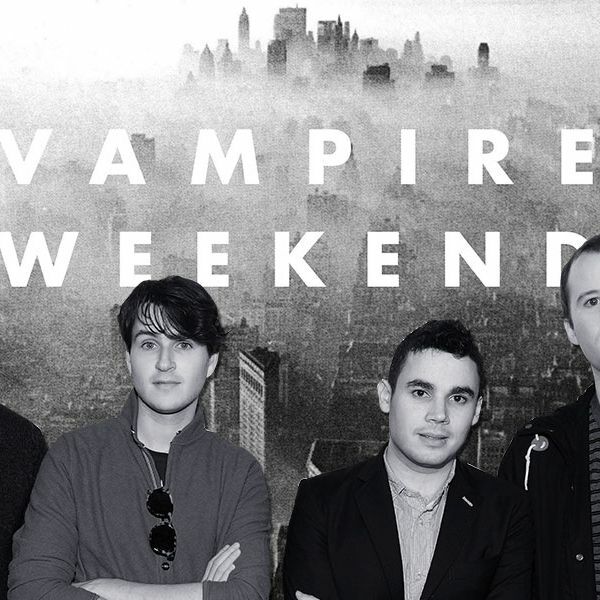 Vampire Weekend got into some trouble for burning these recently. Sutton Place (“Hudson”): A neighborhood in Manhattan that has “swanky” apartments if we were to go by J.D. Salinger’s definition in Catcher in the Rye. Tarrytown (“Finger Back”): A village in New York that is to the south of Sleepy Hollow (formerly known as North Tarrytown), where Tim Burton’s 1999 horror film was set. Rye (“Finger Back”): A city in Westchester County, New York. Walkman (“Step”): Portable Sony audio players that mobilized the masses with magnetic tape, in the eighties and nineties. Usually clipped to the waist like a fanny pack. Waverly (“Hannah Hunt”): The largest village (the rustic, traditional kind) in New York. Young Turks (“Don’t Lie”): A Turkish nationalist and reformist party that raged against the machine in the early-twentieth century. It is also the name of a record label and an online news network. Zion (“Ya Hey”): The cooler-sounding, more esoterically charged synonym for Jerusalem. * This has been updated to reflect the following: “19th Nervous Breakdown” was released in 1966 and not 1996. Rye and Tarrytown were mentioned in “Finger Back” and not “Hudson.” Riverside could also mean Riverside Drive.